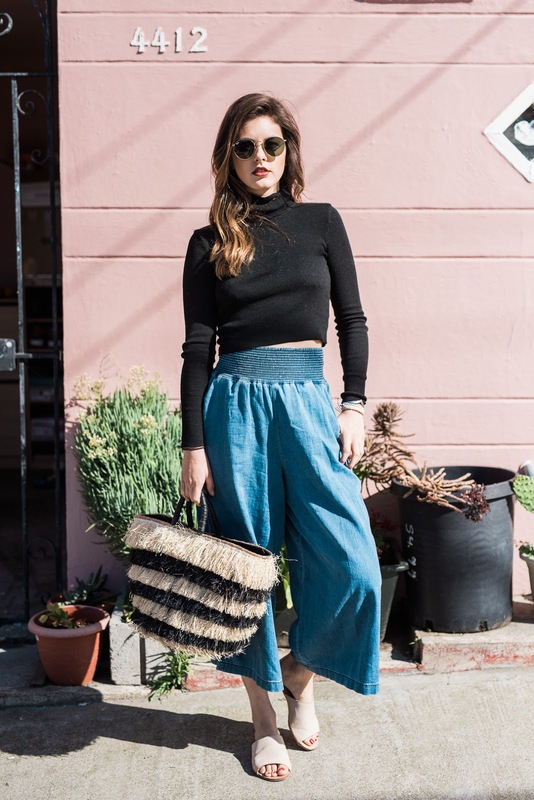 I have been ALL about culottes lately primarily because they are so comfortable but also because they add an easy element of fashion to an otherwise simple outfit. 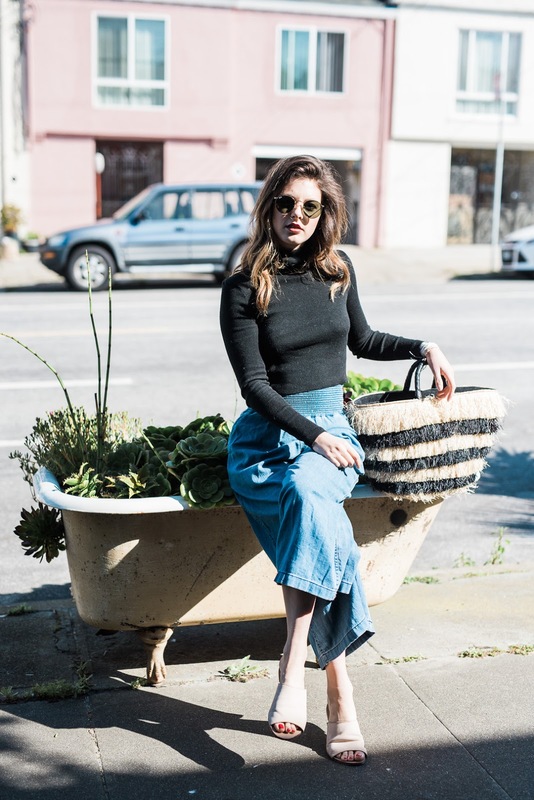 These denim culottes are from Aritzia's new spring line and I have been wearing every chance I get since I got them. 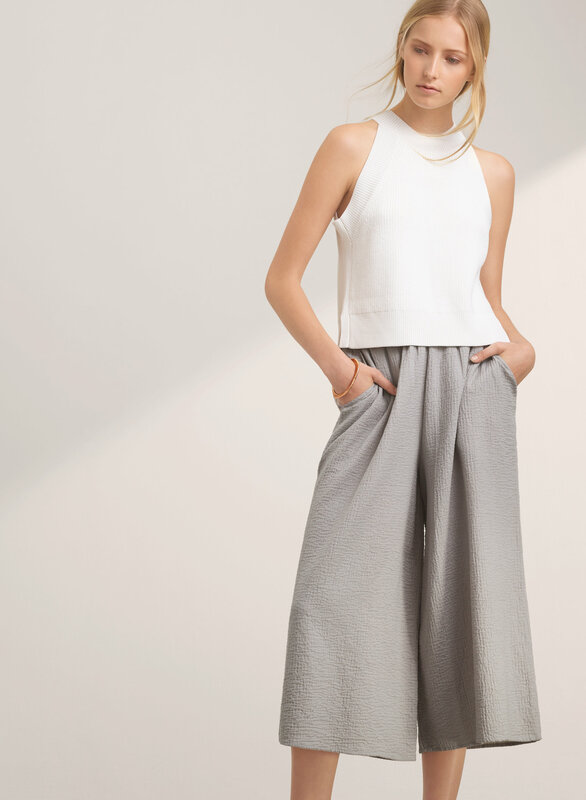 The high-waisted band on these pants is what sets them apart, the stretch detailing creates an unmistakable beachy vibe. 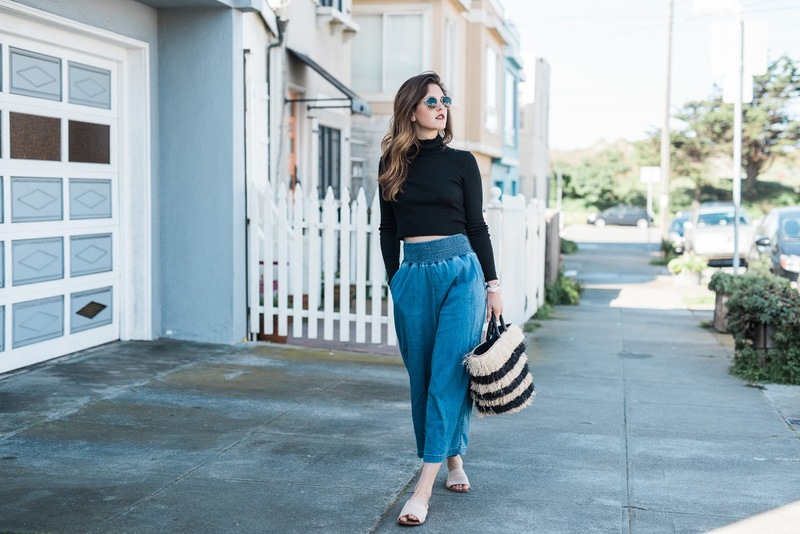 Because these pants make such a statement on their own, I decided to pair them with this simple black crop top (here) and my favorite Raye slip on sandals (similar here and here). 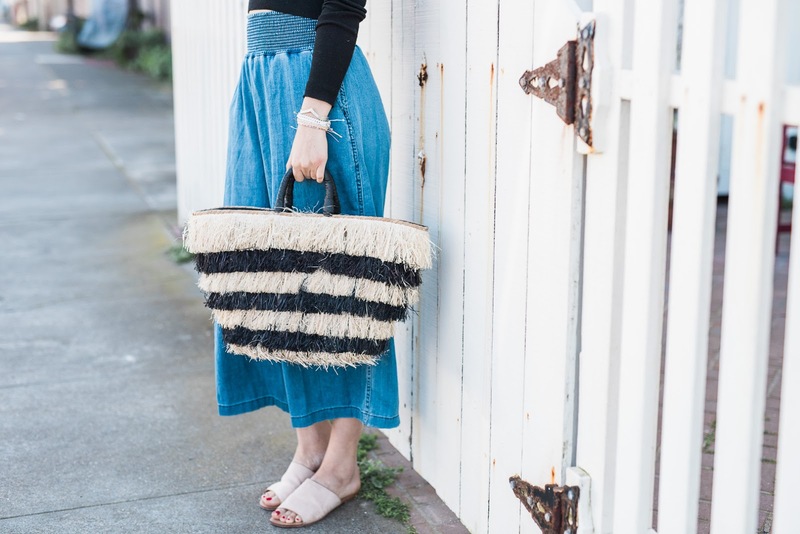 This bag (here) by KAYU Designs, see my collaboration with them here, has become my go-to bag for spring and summer! I love everything about it; the messy straw material, the stripe detailing, and especially the size. I'm a sucker for totes because I love being able to throw everything into one bag and this tote is perfect for that. 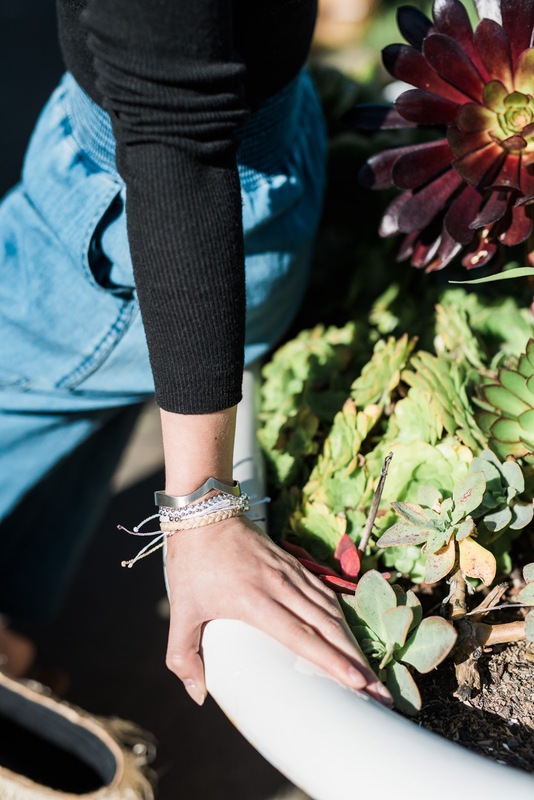 These bracelets are from Pura Vida Bracelets. They make such beautiful yet wearable jewelry and they are introducing new apparel and accessories lines into their assortment as well. This popsicle clutch is definitely on my wish list (here)! I've started to carry cute makeup pouches so I can easily find all of my lipsticks and chapstick and this little clutch is perfect for a makeup clutch. 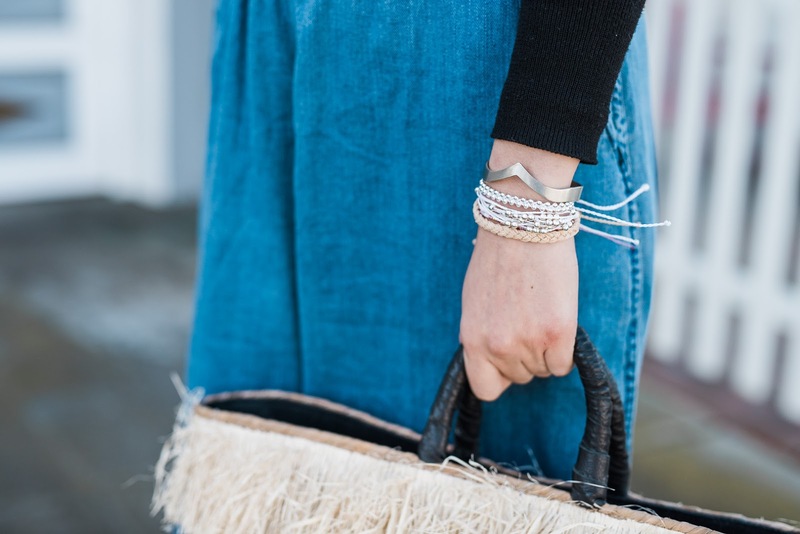 Shop the bracelets I'm wearing, here, here, and here. Girl! You work with awesome photographers! Your style is so you (not I have ever met you, but you have created a staple 'love from Jackie' look. Hi Raelyn! That's so sweet of you! I love the personalized feel of your blog too, will definitely be following for future posts!